This week’s SATURDAY SIX for Memorial Day is a very special one. A Theme Park Tribute to America. 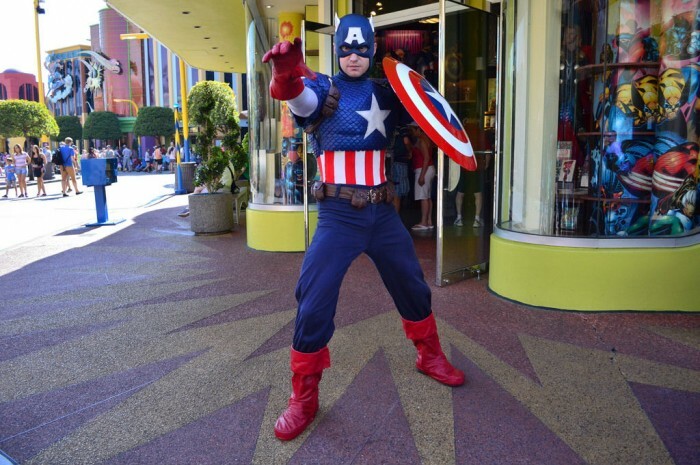 It is thanks to our brave members of the military, both past and present, for the great country we live in and the freedom we have to visit some of the world’s greatest theme parks. Today we’re going into the Orlando parks and looking some of the tributes to America and its soldiers. 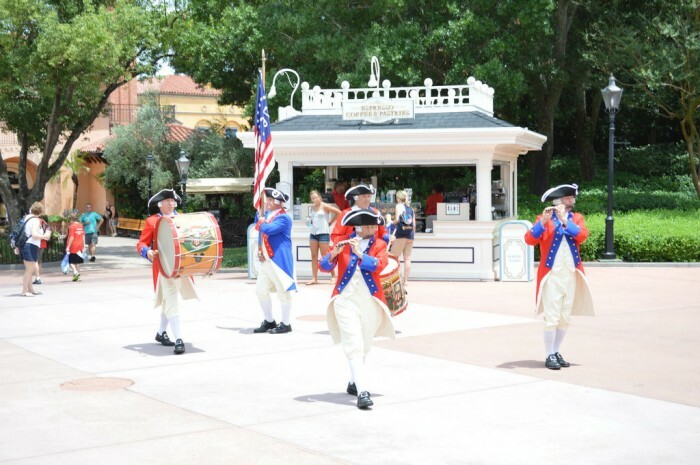 Who knows where we would be today without the soldiers who fought in the Revolutionary War and the Spirit of America Fife & Drum Corps perform a patriotic tribute to them in front of the American Adventure pavilion in Epcot. 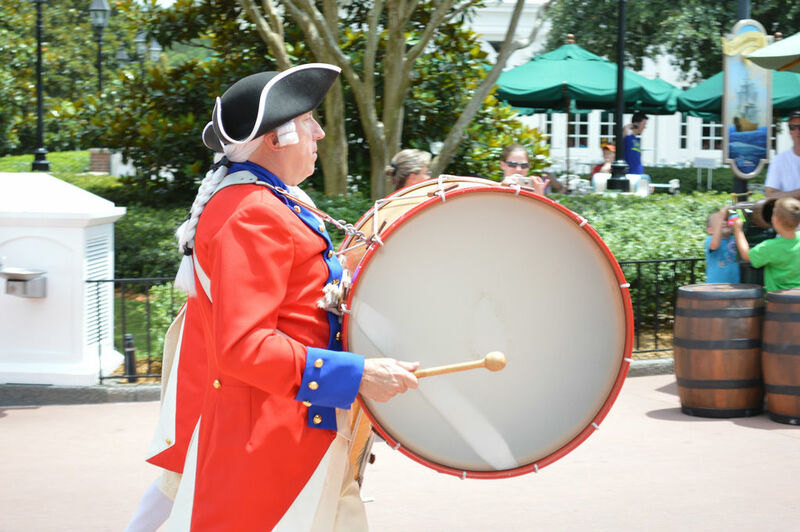 With marching music and military formations, the Fife & Drum corps evoke the spirit of the Continental Army. Whether it’s “Yankee Doodle Dandy,” “God Bless America,” or “Grand Old Flag,” the four man band (plus a flag bearer) will have your heart pounding in pride. America’s super soldier, Captain America meets guests daily at Marvel Superhero Island. The origin of Captain America himself is tied to World War II and – in the pages of comic books – was fighting the Nazi army in Europe months before America itself officially entered the war in December of 1941. Draped in the red, white, and blue, Cap is the living embodiment of everything many of us strive to be: courageous, loyal, selfless, and unshakably honest. We also recommend getting a slice of apple pie (does it get any more American than that?) at the nearby Captain America Diner. 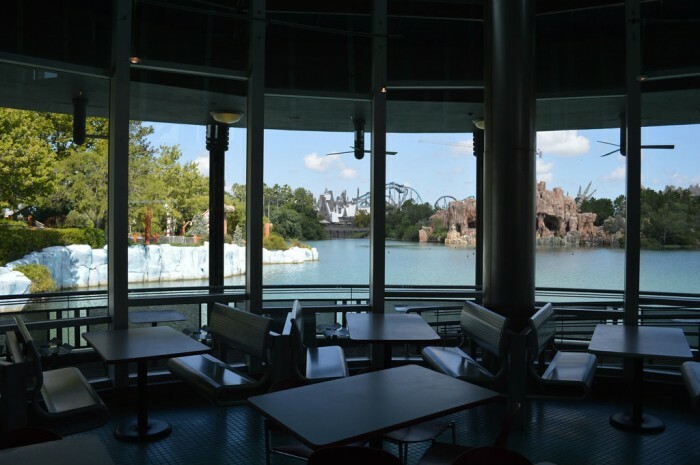 With a gorgeous view of the park, this often overlooked counter service venue also contains a large amount of artwork dedicated to the Avengers. While we all have our favorite Walt Disney World resort, only one – Shades of Green – is dedicated for use solely by men and women of the military. 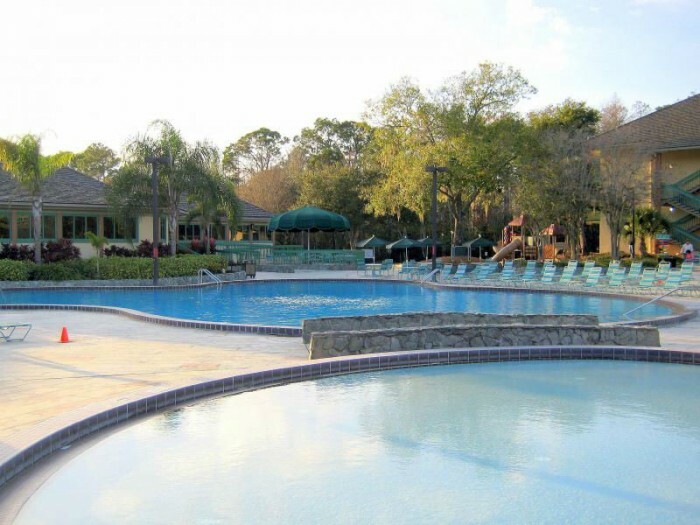 Owned and operated by the U.S. Armed Forces, Shades of Green is located near Disney’s Polynesian Resort and offers almost all of the amenities of Disney’s other on-site hotels, including access to Extra Magic Hours. The resort offers a total of 586 rooms, including 11 suites, and charges room rates based on military rank. The resort is extremely popular, often running at 100% capacity. 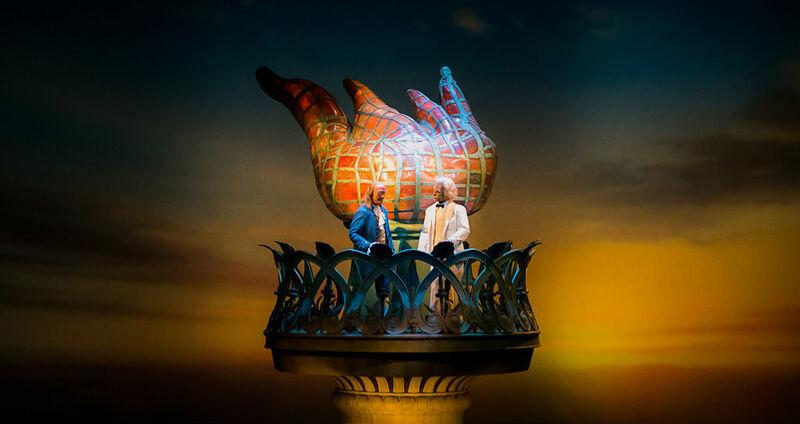 The American Adventure is a walk-through American history narrated by audio-animatronic versions of Benjamin Franklin and Mark Twain, two of our country’s most iconic figures. The Revolutionary War, the Civil War, and World War II are briefly touched on as over 200 years of America are condensed into about 20 minutes. Using a combination of animatronic scenes and video, the American Adventure is amazing to watch just from a technical perspective. This is Imagineering bringing its A-game, brilliantly taking advantage of limited space and challenging subject matter and presenting it in a uniquely interesting way. 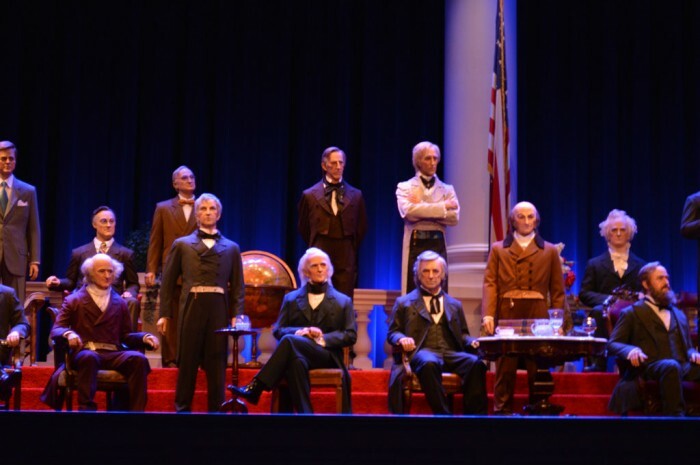 Located in Liberty Square, the Hall of Presidents is one of the most profound and moving experiences to be had within a theme park attraction. The animatronics of our 44 Commanders-in-Chief are among the best Walt Disney Imagineering has ever done and the speeches given (by George Washington, Abraham Lincoln, and Barack Obama) transcend the usual whitewashing of history we see in many other theme park shows or attractions that try to teach us something. 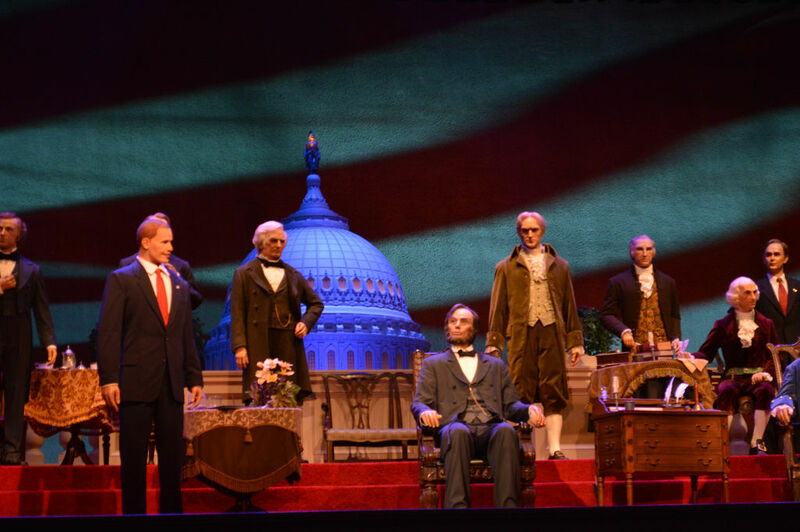 With narration by Morgan Freeman, the Hall of Presidents guides us through the forming of the Constitution, the issues behind the Civil War, all the way up to the challenges we face today. The reveal of the presidents themselves on stage is remarkable and you owe it to yourself to see Abraham Lincoln read his Gettysburg Address. Here’s something many theme park fans don’t know. 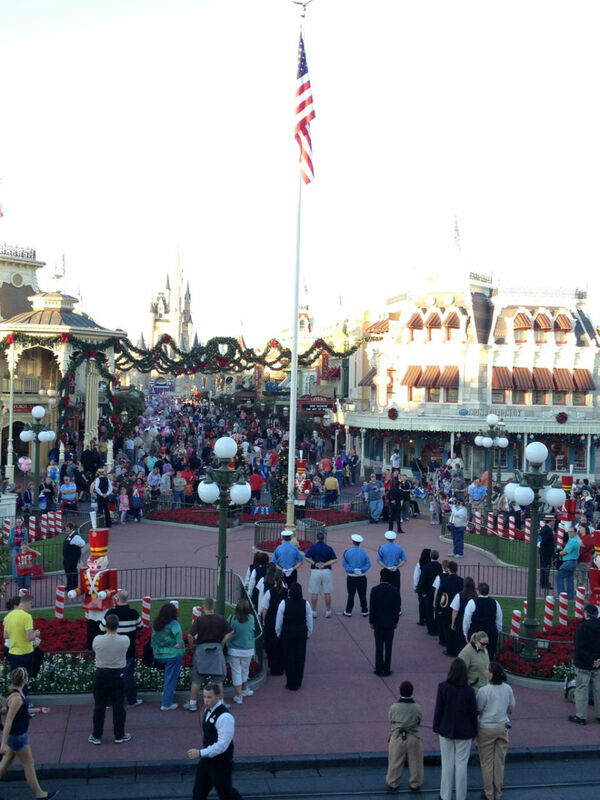 Each day at 5:00PM there is a Flag Retreat at the Magic Kingdom. The Dapper Dans, Main Street Philharmonic, and Disney Security Color Guard are on hand for the lowering of the American Flag, which is then presented to a U.S. Veteran. The pledge of Allegiance, National Anthem, America the Beautiful, God Bless America and more are played during this incredible and heart-warming ceremony. Flag retreat is a truly fitting experience for Main Street, U.S.A., and is something every guest should see at least once. So there you have it: our Theme Park Tribute to America. See you next weekend for the latest edition of the Saturday Six, where we are grab our sunscreen and pit helmets and join the crew from Radio Harambe taking a look at Six Reasons Animal Kingdom Isn’t a Half Day Park. If you had fun, be sure to check out The Magic, The Memories, and Merch! articles or, for your listening pleasure, check out Pardon the Pixie Dust podcast. 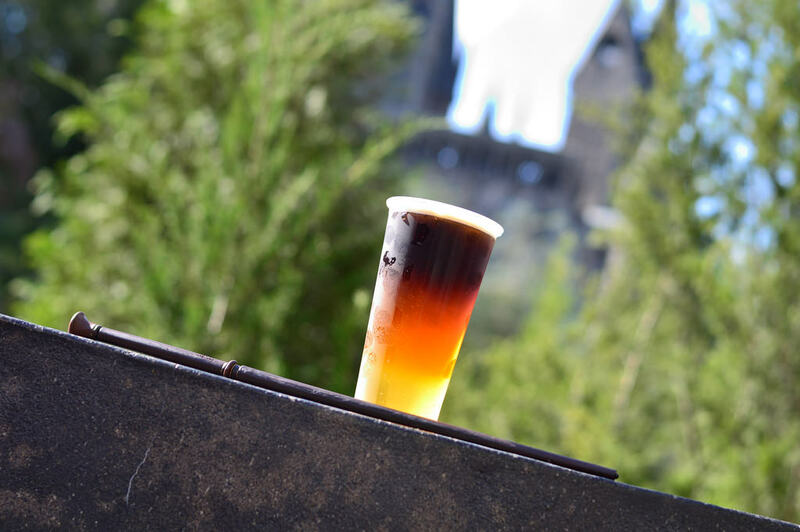 Special thanks to Disney Blogger Extraordinaire Morgan Crutchfield, Mike Sperduto, and crack staff photographer Brandon Glover for their assistance with this article. My brother was chosen to do the flag lowering ceremony at MK the night before his wedding (he was getting married at Shades of Green). It was one of the most moving ceremonies I have ever seen. The cast members were magnificent to my brother and his fiancee. It is something all people should watch at MK. It’s that amazing!